This season AirZone has focused on offering our customers quality air conditioners from our three top manufacturers; Lennox, American Standard and Amana. We understand that you have many options when purchasing your air conditioner. Our company is different due to our quality workmanship, attention to detail, and customer service. We make sure to look after our clients even after your installation is complete. We are proud of the reputation we have built and look forward to demonstrating our difference! Our featured air conditioners are cooling products stand out from the pack. They have been chosen based on years of experience dealing with many different brands of air conditioner. These products are all great choices for Ottawa homeowners and offer a wide range of prices and features. If you are looking to buy a new air conditioner, have a close look at our featured air conditioner products and compare! If you have any questions, please do not hesitate to contact us for a free consultation either over the phone or in person. We are here to help you with your air conditioner purchase or offer a second opinion! We have you covered with top quality products from our three main suppliers; Amana, American Standard and Lennox. The difference between a good air conditioner and a great air conditioner comes down to efficiency, operating noise, and of course indoor comfort. For example, many homeowners do not consider the noise output of a lower end air conditioner that is installed right beside a highly used outdoor space (until it’s too late). A different homeowner may not have this concern because the AC is on the side of the home. We carry products that fit almost any budget and offer air conditioner financing regardless if you are looking for a higher or lower end unit. What is a 2 Stage Air Conditioner? 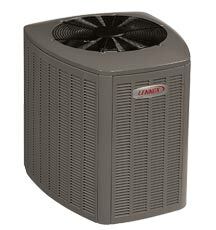 Our most popular air conditioner right now is the Lennox 14ACX 16.2 SEER. It is available in 1.5 – 4.0 ton, and offers the quality Lennox name and warranty along with a great price tag. This air conditioner also offers exceptional energy efficiency along with a quiet operation. This air conditioner will save you money every year in energy costs, and allow you to be in the backyard without being bothered by your equipment. Most importantly, this unit qualifies for the Tier 2 OPA rebate. With the rebate factored in you can get a higher SEER AC for around the same price as an entry level AC. For more information or technical specifications, please visit the Lennox 14ACX webpage by clicking HERE. We are very proud of the three air conditioner brands we have chosen to work with. 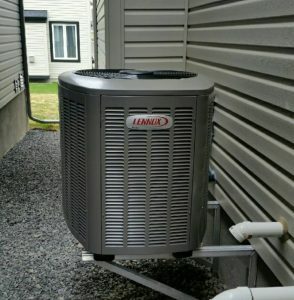 Below is a quick summary of just some of the reasons we have chosen American Standard, Lennox, and Amana as our three go to brands for high quality Ottawa cooling products. When we visit your home for a free no obligation air conditioner estimate, we examine your current heating and cooling system. We then provide a recommendation based on years of cooling product experience that will work perfectly with your current HVAC setup. 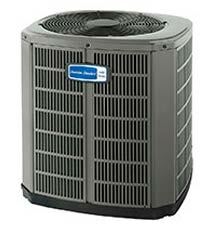 We are a newer dealer of American Standard air conditioners. As part of our continued goal of providing the best air conditioner products to our customers we have added American Standard to our robust air conditioning lineup of products. 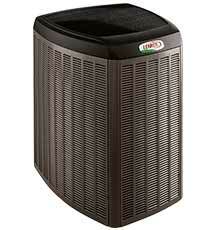 We started looking at AC products from AS due to their high rankings on Consumer Reports. This lead us to product testing and in home performance analysis. 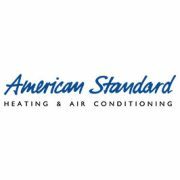 After reviewing their air conditioner products, we are thrilled to have the American Standard line as part of our cooling offerings. 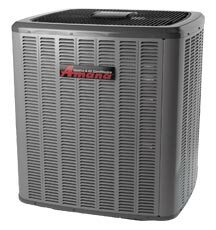 American Standard air conditioners continually provide high quality operation, and offer an exciting range of cooling products from entry level to high end. We have been one of the top Amana air conditioner suppliers for many years. Amana has an extensive history of successful air conditioner units located in Ottawa and the Valley (installed by us!). We are extremely comfortable with the Amana brand which offers great prices on quality cooling equipment. 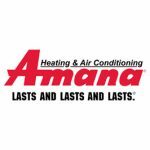 Amana also offers some of the best air conditioner warranties in the business. Their 2 stage air conditioners have been extremely popular due to it’s perfect balance of price and and performance. The two stage operation offers efficiency, quiet operation, and dependability. As a volume dealer, we offer exceptionally low pricing on quality Amana air conditioners. 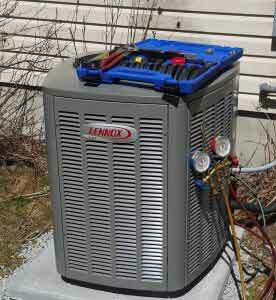 Lennox is one of the most trusted air conditioner brands in the Ottawa area. 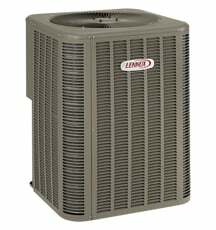 Many homeowners in the area are familiar with Lennox and their products because of their popularity. They are also a popular brand for many builders. Lennox offers our most popular air conditioner in 2016. 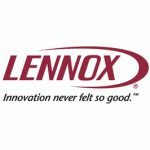 Lennox also specializes in higher end heating and cooling products offering great options for combos (including one of the best furnaces available anywhere). 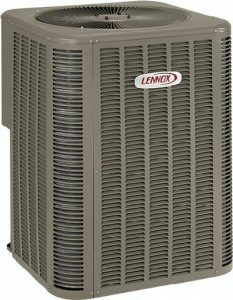 A Lennox air conditioner paired with their iComfort thermostat and Lennox furnace offers a combo that is hard to beat. The technology is cutting edge delivering a smart communicating HVAC system. Alongside our air conditioner installations, we offer professional repair services for your central air conditioner, PTAC units, and ductless splits. Our technicians are highly qualified and continually receive in house training in addition to their certifications. We keep our fleet stocked with air conditioner repair parts to provide faster repair services. This allows our clients to get up and running faster and enjoying cool air in their homes. AirZone is dedicated to straight-forward flat rate pricing. We offer a diagnostic service that allows you to diagnose your air conditioner problem without being obligated to have the repair done by us. This gives you the freedom to chose who completes your repair. It’s just part of our no-pressure approach to service. We offer AC installations, repair, and diagnostic services to the greater Ottawa area including the Valley. In Ottawa, there are a lot of air conditioner installations that happen by unlicensed contractors. We know about it because we are often the ones who go out to fix the issues that happen after the contractor is long gone. Regardless of who you choose to install your air conditioner, we recommend that you see a physical copy of the installer’s license and insurance. It is also a good idea to check with the Better Business Bureau to ensure that they are registered and in good standing. Don’t leave yourself open to getting scammed! AirZone is a high quality company in Ottawa that has been built on professional standards. 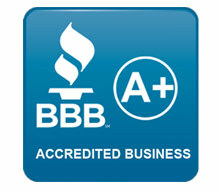 We are fully insured and licensed, and we will be around if you ever have any issues. By building our company on a guaranteed quality platform, we have built a solid and reputable name in Ottawa and the Valley. 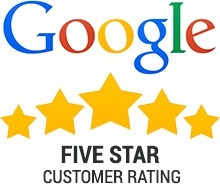 We demonstrate this by maintaining an A+ rating with the Better Business Bureau, and offering an unprecidented satisfaction guarantee for all of our installs. We have brought you these low air conditioner prices to give you an alternative to the white trucks at a similar price. We encourage you to contact us to learn more about our company, values, and written customer satisfaction policies. Most Ottawa air conditioning products come with a 10 year parts warranty. We offer an additional 1 to 2 year labour warranty depending on the product purchased. Our warranties are written in your contract to ensure you are protected! We are proud of our workmanship and will do everything we can to ensure that your air conditioning installation is not only completed correctly, but continues to work at it’s best. In addition to our labour warranty, we offer the option for an extended air conditioner warranty purchase. This helps to ensure peace of mind for your air conditioner purchase. Our cooling protection packages are a great option to maintain your air conditioner manufacturer’s warranty (a requirement by most HVAC manufacturers). For a low monthly payment you will receive annual maintenance along with a number of additional benefits including priority cooling services. At AirZone, we understand that purchasing a new air conditioner can be a big investment. We offer financing programs that provide one low monthly payment with easy online approval. Our customers love the financing approach because it allows them to offset the cost of a new air conditioner with monthly energy savings resulting in a lower utility bill. We encourage our customers to finance over renting because it is much less expensive in the long run. If you are worried about protecting your investment our protection packages provide similar coverage when compared to renting, and we also offer extended warranties which can be purchased and included in the monthly payment. Our goal is to provide top quality air conditioners at the best price!annual maintenance along with a number of additional benefits including priority cooling services. Best of all, our air conditioner financing program is an open loan which allows you to pay off the balance owed at any time during the term. In fact, most customers in Ottawa pay off their air conditioner in 3.5 years (average). Financing is a great way to offset your monthly payments with energy savings. Financing can help to get you a better cooling unit resulting in greater energy savings which gives you the option of using these savings to help finance your air conditioner cooling product. We have implemented a restrictive installation procedure for new air conditioner installations in Ottawa and the Valley. We utilize the following approach to ensure that you installation is completed correctly the first time! After you have agreed to a new air conditioner purchase we order your cooling equipment (congratulations!). Once received, we will then schedule an installation date that works for you. Please note that air conditioner installations are subject to weather conditions and usually cannot be completed during a few of the winter months. Once your cooling installation date is scheduled, we will then arrive on time to your home with the equipment to be installed. We utilize the white glove approach with the goal of leaving your home in better condition than we found it. This includes wearing protective booties in your home to avoid any damage to your floors. We will meet with you to go over what we will be installing and answer any questions you may have at this time. We follow a strict air conditioner install checklist to ensure no detail is overlooked. The first step in an air conditioner installation is to remove the current unit if you are having your air conditioner replaced. This involves turning off the power in your home. Oftentimes we are able to isolate the air conditioner breaker to only turn the power off in one area.This is dependent on how your home is wired. Once the old unit is removed, we clean the area to get ready for the new air conditioner. We now begin the new installation procedure again using our installation checklist to ensure that all steps are completed. Once the new cooling product(s) are installed, we walk the area with the homeowner and instruct them on how to use the product. All of our process is documented and we provide the homeowner with a written receipt and warranty information post install. We are here to answer all of your questions about your new air conditioner including how to get the best efficiency out of the product. If you have had a new thermostat installed, we will also show you how to use the product and help you to set a schedule that will maximize energy efficiency. 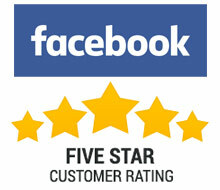 Our goal is 100% customer satisfaction! We pride ourselves on our installations and workmanship. We install hundreds of air conditioners each year in Ottawa and the Valley. Rest assured that we are here to answer all of your questions and work diligently to ensure your cooling product is not only installed to the highest standards but will work at it’s best. If you are eligible to receive any rebates for your new air conditioner installation, we will provide you with instructions on how to receive the rebate. We also offer labor warranties for our work backed by our quality you can trust guarantee in addition to any applicable manufacturer air conditioner warranty. 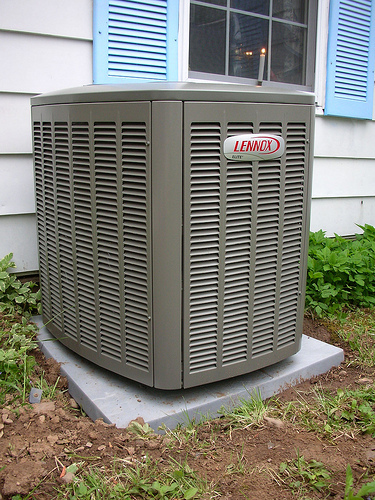 Have you considered having a furnace installed at the same time as a new air conditioner? By having a furnace AC combo installed at the same time, you ensure that your system is utilizing the latest technology ensuring the best energy efficiency. You are also being proactive to avoid a furnace breakdown during the winter month. By planning a furnace installation ahead of time and at the same time as your air conditioning installation, you will be avoiding expensive emergency service calls! We also offer great discounted combo packages to help you save on your overall purchase! 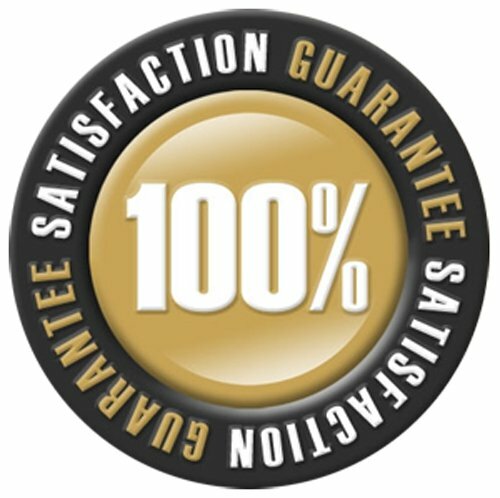 We have built a solid reputation as the go to Ottawa Cooling dealer in the area. We have achieved this recognition through hundreds of air conditioner installations done right the first time. We believe that our air conditioning workmanship paired with the top brands in the cooling industry makes our company stand out. Due to our volume of installation, we are able to offer a lower price to our customers than many other cooling dealers. We pride ourselves on our honest approach. 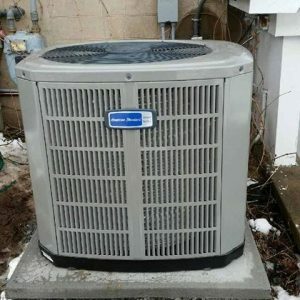 Ottawa cooling dealers have gotten a bad name over the past few years due to many poor business practices such as tricking a customer into a new air conditioner installation when it is not needed. We are interested in a long term relationship with our customers that benefits both of us. This is why we offer air conditioner repair services alongside our cooling installation services.